On Saturday February 9, Preston-based pizza oven supplier, Valoriani UK will be celebrating National Pizza Day by launching its new nationwide initiative, ‘Random Acts of Kindling Day’, at The Foxton Centre in Preston. Random Acts of Kindling Day marks Valoriani UK’s 16th anniversary of pioneering the introduction of wood-fired pizza ovens to the UK. Instead of celebrating in the usual fashion, Valoriani UK is calling on all commercial pizza oven owners to support their local community’s good causes, by doing what they do best – making delicious pizzas. 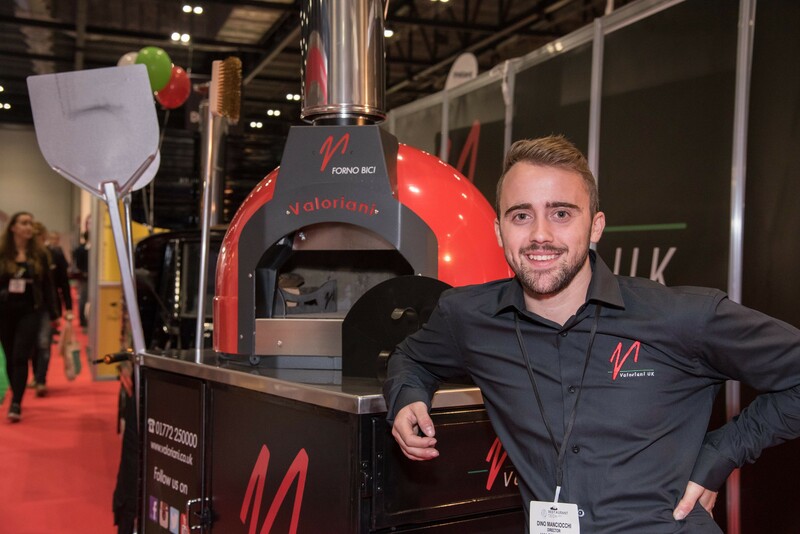 The Valoriani UK team, headed up by Dino Manciocchi, will be taking their cute Forno Bici – a mobile pizza oven on a bike – to The Foxton Centre in Knowsley Street, Preston, between 2pm and 5pm on February 9. The Manciocchi family will be preparing pizza bases and toppings that will be cooked in the oven within seconds. Whilst they will be feeding anyone relying on The Foxton Centre for help, food and warmth, those who wish to head along on the day, can make a monetary contribution, in return for a pizza, to help raise funds for the Foxton Centre. The Foxton Centre is a local Preston-based charity offering help and advice to rough sleepers and youths in need. Through its Random Acts of Kindling Day, Valoriani UK hopes to help support its work and raise awareness of its services. Valoriani UK has its base and demonstration centre in Mona Place, off Croft Street, Preston, where it showcases the world-renowned range of Valoriani wood-fired and gas pizza ovens, made in the artisan fashion by Valoriani’s Tuscan masters. The range includes first-class domestic, commercial and mobile pizza ovens that are built to last, across a wide price range. Valoriani UK’s community-focused initiative should strike a chord, as the homeless need our help more than ever. The number of rough sleepers in the UK has continued to increase and has now risen by 169% from 2010, according to an official government report. Furthermore, February’s cold weather makes it a tough time of the year for those who are vulnerable. The Foxton Centre is opening its doors in bad weather, so that people will have a warm, dry and safe space to stay.